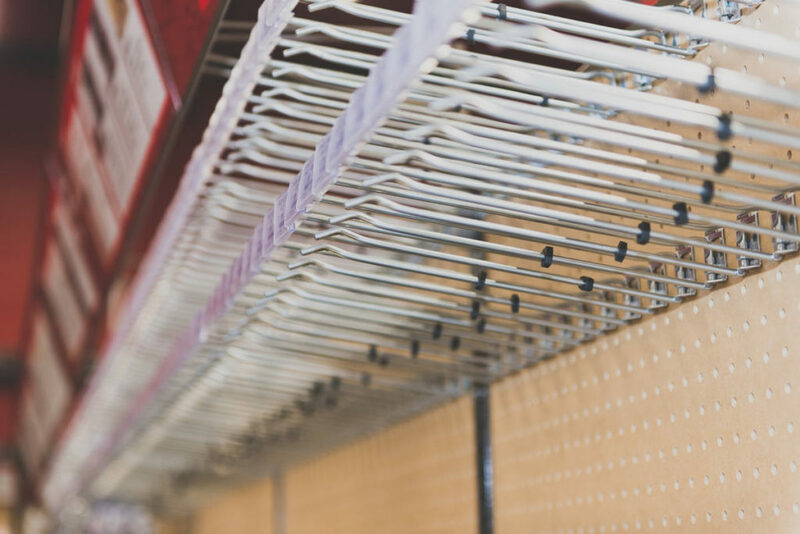 At Champion Store Fixture Installs, our job is to make your New Store Set-Up, Remodel or Roll-Out as smooth as possible. 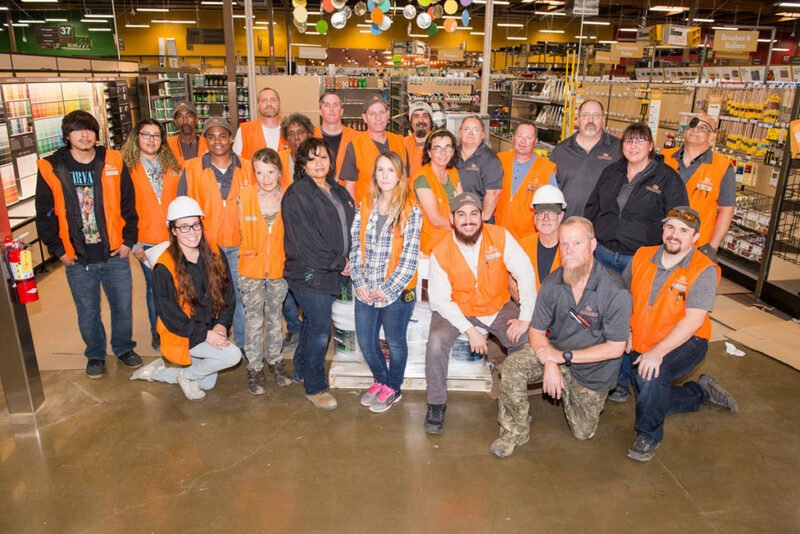 Our teams of experienced Store Fixture Installers and Merchandisers travel nationwide. 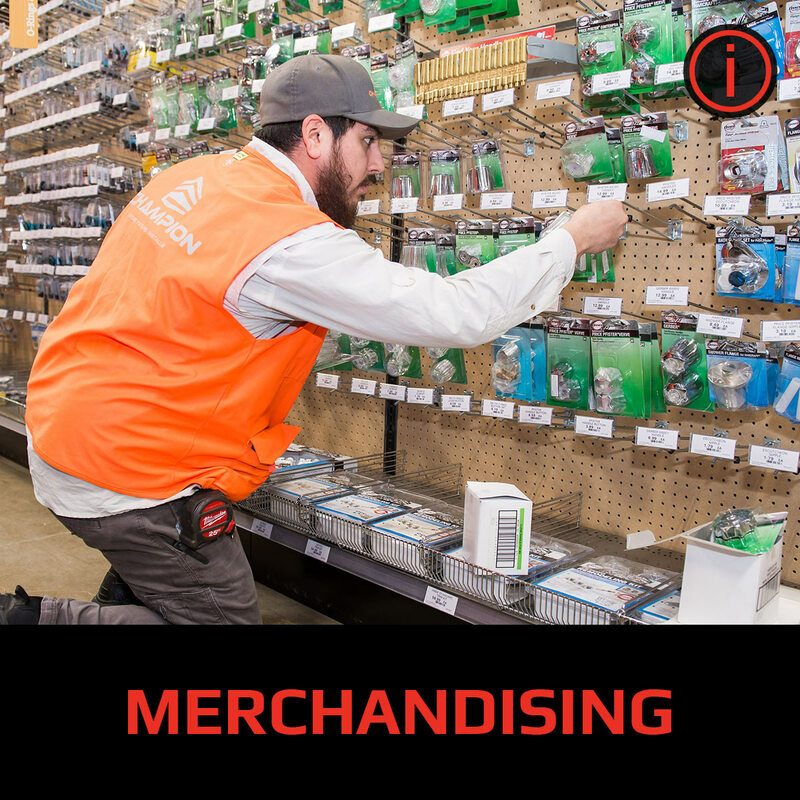 Choose Champion for your complete One-Stop shop for Store Fixture Installation and Chain-Wide Merchandising Projects. 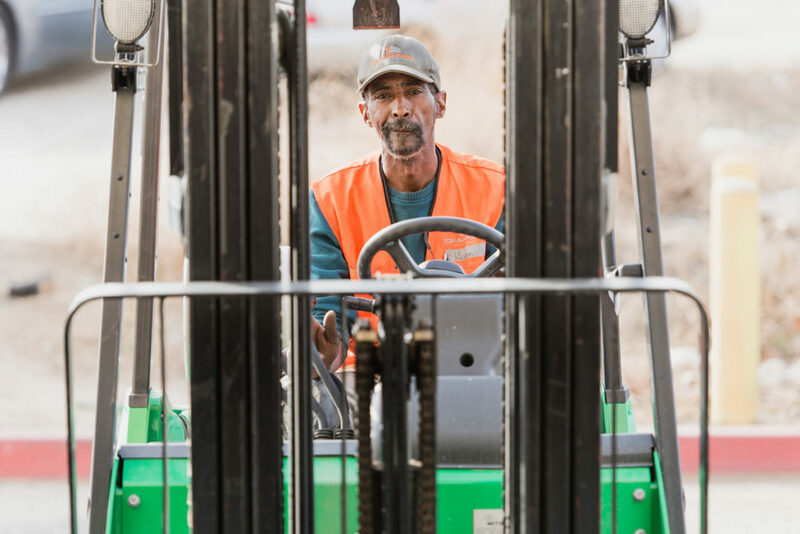 With over 175 W-2 Champions on staff we are large enough to handle your needs, yet small enough to care. 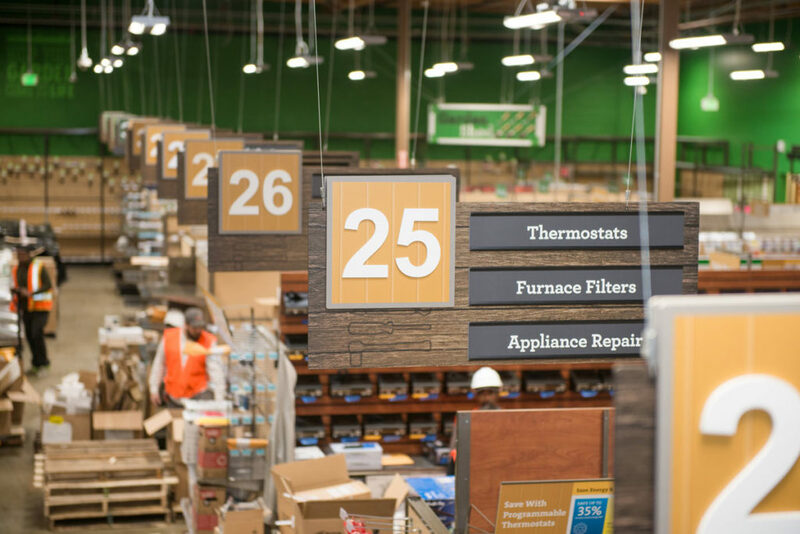 Gondola, Pallet racking, Mobile Aisle Systems, Millwork, Seismic Anchoring, Decor Packages, Schematics, Planograms, Modulars, Open Store Remodels are all in our arsenal. From 5,000 sq. ft. to 100,000 sq. ft. projects, Champion can install your fixtures, unload and stock all merchandise and install your Decor Package. 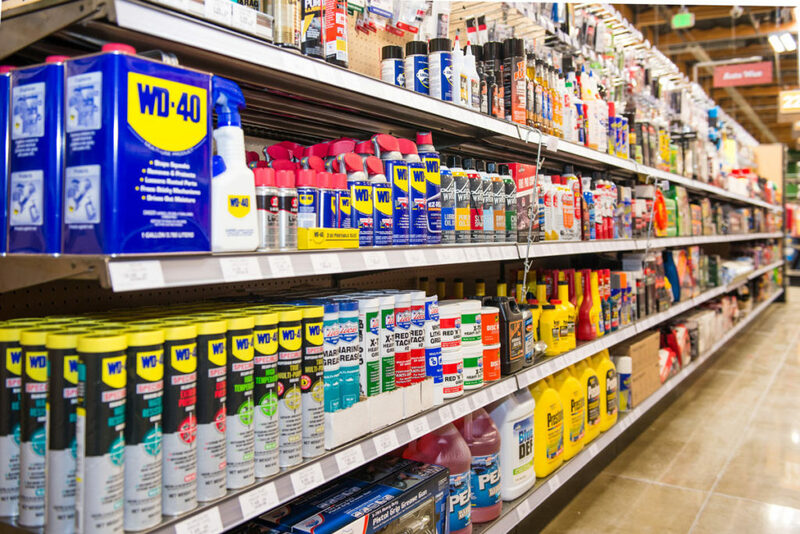 Open or closed, day or night, we can replace or move your existing fixtures and reset all merchandise to its new home. If you have a new set that needs implementing chain-wide, give us a call. We will give your set the care/attention/focus it deserves. 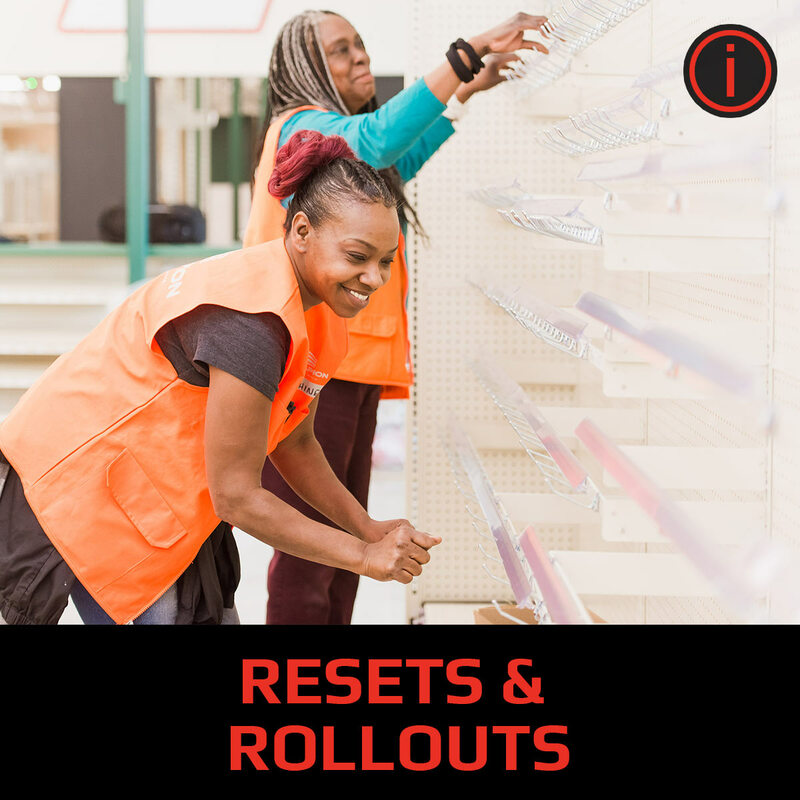 Champion can install any fixtures in your retail store, showroom or warehouse including Gondolas, Pallet Racking, Casework, Slatwall and Light Clouds. 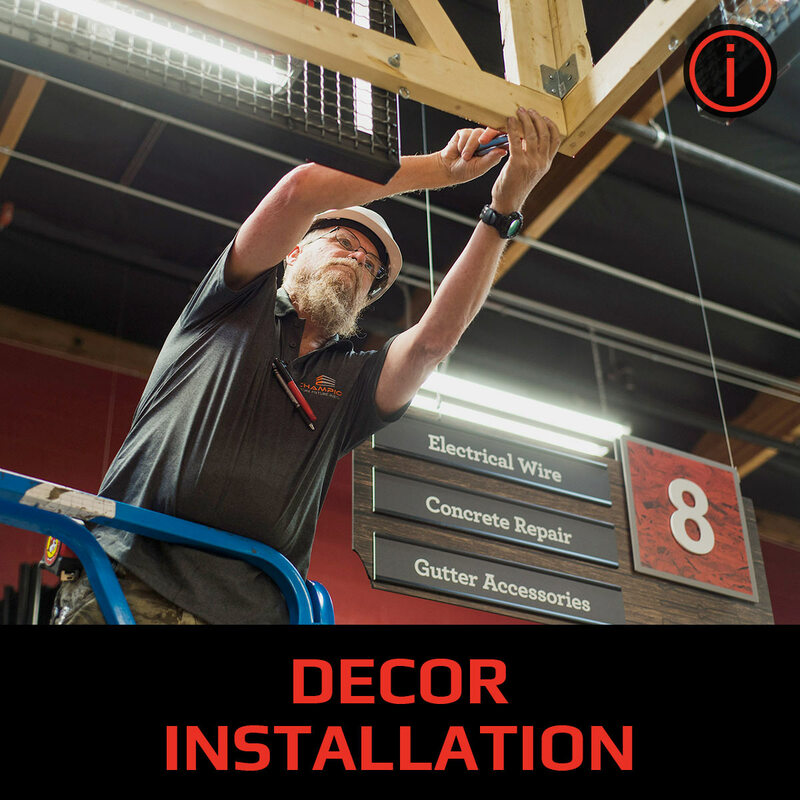 If you can dream it, we can install it. You can’t sell empty pegboard. 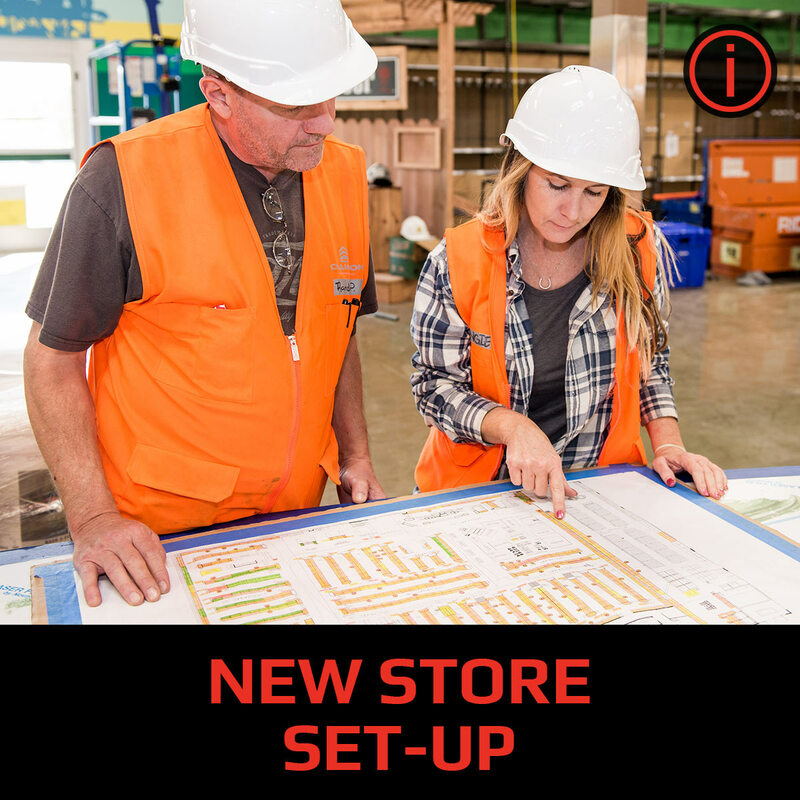 Let Champion’s team unload the freight, set the Planograms or Schematics and stock all of your merchandise. 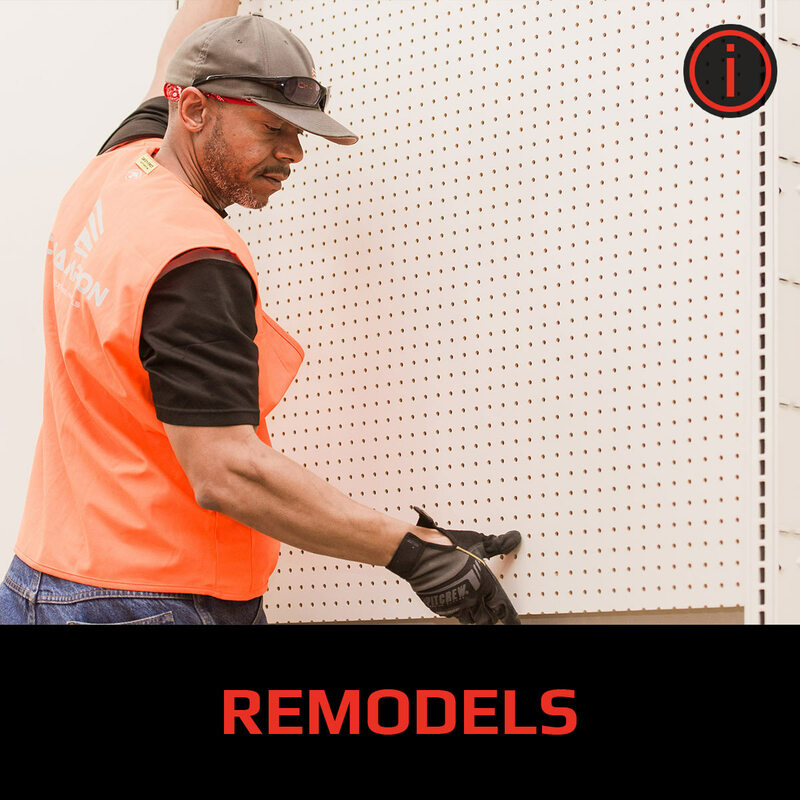 Champion can put the final touches on your new store that will draw customers in with a well-executed graphics package, installed with an eye for detail. Project Managers – Our Experienced Project Managers give you peace of mind that your project will be done right and on time. Nationwide – One call takes care of your needs anywhere in the USA. 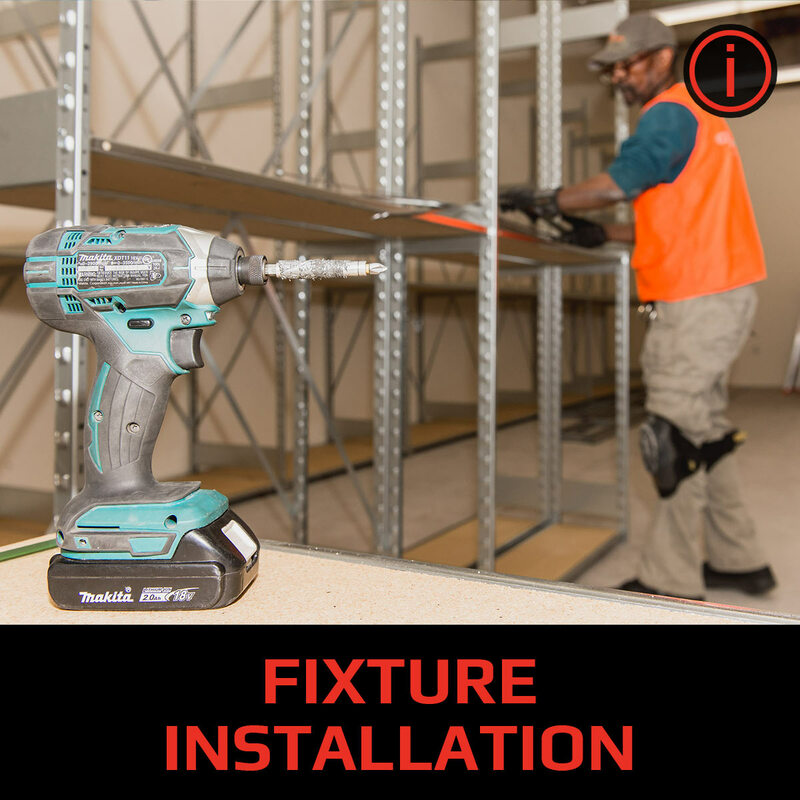 Fixture Installers/Merchandisers – Many companies can install fixtures and many can merchandise. We pride ourselves on excelling at both. 175+ W-2 Employees – By having our own W-2 employees on your job, you get the same people on your projects week after week. No learning curve! Low Overhead – Saves you money. Talk to us about your upcoming project(s) today. Please fill out the form below or call us at 888-627-5180 for a quote.